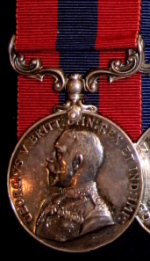 The Distinguished Conduct Medal was authorized by Royal Warrant on 4 December 1854. 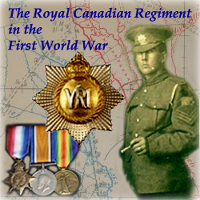 The following Warrant Officers, non-commissioned officers and soldiers of The Royal Canadian Regiment received the Distinguished Conduct Medal (DCM) during the First World War. Citations have been taken from the online archive of the London Gazette. Recipients' names normally appeared in the London Gazette twice in association with an award of the DCM. The first appearance, colloquially known as being "Gazetted", identified the granting of the award. The second appearance was with the publication of the award citation. The following list includes those names identified in the first volume of the regimental history (Fetherstonhaugh, 1933) and includes some who did not receive their awards for actions performed while serving with the Regiment. SUPPLEMENT TO THE LONDON GAZETTE, 2 DECEMBER, 1919. - 207767 Pte C. C. Browne, R. Can. R. - For conspicuous gallantry and devotion to duty during the operations near Cambrai from 27th September to 1st October, 1918. As a company stretcher-bearer he worked unceasingly during three days, dressing wounded under most trying conditions. When his company was badly cut up and forced to withdraw, he remained behind under very heavy fire, dressing the wounded. He afterwards organised carrying parties, and led repeated trips into No Man's Land, locating and carrying in over thirty wounded. SUPPLEMENT TO THE LONDON GAZETTE, 26 JULY, 1917 - 261581 Pte C. A. Collver, Infy. - For conspicuous gallantry and devotion to duty. Although severely shaken by the burst of a shell he continued to fire his machine gun with great skill. He set a magnificent example throughout the operations. SUPPLEMENT TO THE LONDON GAZETTE, 14 NOVEMBER, 1916 - 477230 Pte J. Dawson, R. Can. 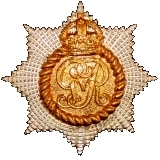 R. - For conspicuous bravery and devotion to duty in attending the wounded under very heavy fire. For a period exceeding 50 hours Pte Dawson dressed and carried in wounded without cessation from the front line and "No Man's Land," and before he collapsed he had attended to more than-100 cases. His courage and energy was worthy of the highest praise. SUPPLEMENT TO THE LONDON GAZETTE, 13 FEBRUARY, 1917 - 65277 Q./M./S. J. Donovan, Can. Infy. - For conspicuous devotion to duty. He has performed consistent good work throughout, and has at all times set a splendid example. SUPPLEMENT TO THE LONDON GAZETTE, 21 OCTOBER, 1918 - 207116 Sjt. D. Dunbar, R. Can. 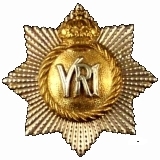 R. - For conspicuous gallantry and devotion to duty during an attack. When two platoon commanders in his company had been wounded he reorganised the platoons into one, and continued to carry on under intense bombardment the difficult task of supplying the attacking battalion with supplies. He showed fine courage and devotion to duty, more especially as he was suffering from the effects of gas. SUPPLEMENT TO THE LONDON GAZETTE, 2 DECEMBER, 1919 - 261704 Pte E. Englebretsen, R. Can. R. - For marked gallantry and good work during the operations near Cambrai on the 30th September, 1918. In the attack he went ahead of his company with a Tank, and when this was heavily fired upon by two anti-Tank guns he worked around the flank of this enemy party, and then rushed them, bombing. Besides killing many enemy, he, with one other man, captured six officers, 71 O.R. 's, and the two anti-Tank guns. Our Tank was then enabled to proceed with the attack. Throughout the operations his fine fighting spirit was an inspiration to all ranks. SUPPLEMENT TO THE LONDON GAZETTE, 21 JUNE, 1916 - 477307 Pte S. Flansberg, R. Canadian R. (attd. 4th Bn., C.M.R.). - For consistent good work in face of the enemy. He is always the first to volunteer for dangerous duties, and his gallant example inspires confidence among the men. SUPPLEMENT TO THE LONDON GAZETTE, 3 SEPTEMBER, 1919 - 477317 C./S./M. J. Foy, R. Can. R. - For conspicuous gallantry and devotion to duty as company serjeant-major and latterly as regimental serjeant-major. He has performed exceptionally valuable service in the line throughout the past year, never missing a trip, and his great personal gallantry, initiative and energy are largely reponsible for the efficient manner in which front line companies always had their rations delivered to them. By his unfailing reliability in the performance of his duties in the line he was of the greatest assistance to his battalion commander. SUPPLEMENT TO THE LONDON GAZETTE, 16 JANUARY, 1919 - 477411 Pte J. Hoban, R. Can. R. - For conspicuous gallantry and devotion to duty east of Arras. As a runner, scout and guide, he performed valuable service on the 26th August, 1918. When the attack of his company was held up he went forward, and with indomitable courage connected up the platoons. When heavily counter-attacked and his company surrounded he proceeded to Battalion headquarters, delivered an accurate account of the position, and volunteered to guide reinforcements to the front line, which he did. The information he was able to give the reinforcing company commander was invaluable in enabling this officer to make his dispositions. In pitch darkness he led successfully three platoons of the reinforcing company into position, returning to the company commander with an accurate account of their disposition. His extraordinary knowledge of ground and sound common-sense saved a most critical situation. SUPPLEMENT TO THE LONDON GAZETTE, 19 AUGUST, 1916 - 477458 Actg. L./Cpl. W. H. James, Can. Mach. Gun Coy. - For conspicuous gallantry during an enemy attack. After his officer and serjeant had been wounded, he took command of four machine guns and two Lewis guns, and successfully repelled a hostile attack, when the remaining infantry were badly shaken by mine explosions. SUPPLEMENT TO THE LONDON GAZETTE, 16 JANUARY, 1919 - 733058 Pte W. Lyman, M.M., R Can. R. - For conspicuous gallantry and devotion to duty as stretcher bearer on 26th August, 1918, during the attack on Bois de Sart. When our line had been withdrawn after a heavy hostile counter attack he proceeded in front of the line under heavy machine-gun fire and in direct view of the enemy, and attended to a number of our wounded who had been left behind. He himself carried two men back and dressed the remainder. He was indefatigable in his care of the wounded, and his splendid work executed at great personal danger undoubtedly saved many men's lives. 5602 S.M. G.C. MASSEY 3rd Divl. Sig. Coy. SUPPLEMENT TO THE LONDON GAZETTE, 21 JUNE, 1916 - 5602 S./M. G. C. Massey, 3rd Divl. Sig. Coy., Canadian Engrs. - For consistent good work and devotion to duty under all circumstances. He has set a fine example to all ranks. SUPPLEMENT TO THE LONDON GAZETTE, 25 FEBRUARY, 1920 - 514400 Cpl. E. Nougaret, R. Can. Regt. - For conspicuous gallantry and leadership at Mons on 10th and 11th November, 1918. He handled his section cleverly in locating and bringing Lewis-gun fire to bear upon enemy machine-gun posts. He established a bridgehead over the Canal du Centre, killing the crews of a machine gun and trench mortar which were defending the crossing. SUPPLEMENT TO THE LONDON GAZETTE, 19 AUGUST, 1916 - 477732 Pte (Actg. Cpl.) 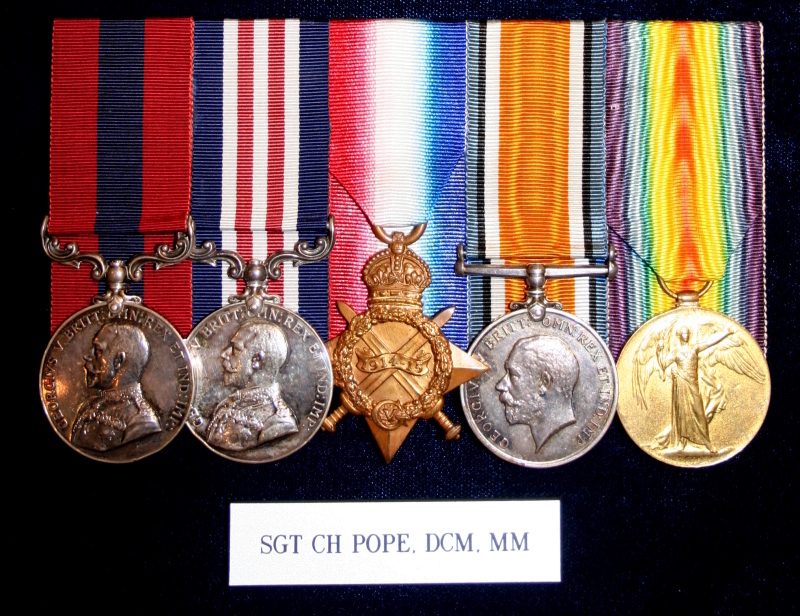 C. H. Pope, Can. Infy. - For conspicuous gallantry and devotion in carrying an important message through several intensely bombarded areas. He exhibited the greatest courage and determination, and a total disregard of all personal danger. SUPPLEMENT TO THE LONDON GAZETTE, 11 MARCH, 1920 - 477746 L./Cpl. F. A. Prince, R. Can. Regt. - For devotion to duty and gallantry. At Ypres, in August, 1916, during one of our night raids, the party was discovered just on arrival at the enemy's line, and immediately came under very heavy fire, and were all wounded except one. He went out in No Man's Land and assisted two officers to carry in the wounded. SUPPLEMENT TO THE LONDON GAZETTE, 19 AUGUST, 1916 - 477754 Pte E. F. Rampton, Can. Infy. - For conspicuous gallantry and devotion as a stretcher-bearer. During an action he worked single-handed for 72 hours without sleep, dressing men of four different regiments, and evacuated all the wounded from a casualty post. Finally he collapsed, but, after a short rest, he went out in broad daylight and succeeded in bringing in a wounded man under very heavy fire. SUPPLEMENT TO THE LONDON GAZETTE, 20 OCTOBER, 1916 - 477770 A.L./C. C. Reynolds, Royal Can. R. - For conspicuous gallantry when leading a bombing party in a raid. After being wounded lie continued to press forward, and threw his bombs with the greatest coolness and precision. He was the only man who reached the enemy parapet, where he fought alone with his revolver and bombs. He was again hit, and extricated himself with difficulty. SUPPLEMENT TO THE LONDON GAZETTE, 13 FEBRUARY, 1917 - 477782 C./S./M. R. J. Roberts, R. Can. R. - For conspicuous gallantry and devotion to duty. He has performed consistent good work throughout, and has at all times set a splendid example. SUPPLEMENT TO THE LONDON GAZETTE, 16 JANUARY, 1919. - 477797 Sjt. E. M. Ross, M.M., R. Can. R. - For conspicuous gallantry and devotion to duty during an attack on Bois de Sart on 26th August, 1918. Finding all officers had become casualties, he assumed command of the company. He himself led the attack in the face of an immense bombardment and withering machine-gun fire. Having reached his objective and finding his left flank unconnected, he himself proceeded over a wide stretch of open country and established connection with neighbouring battalion. When heavily counter-attacked, he displayed extraordinary courage and determination in controlling defence. His personal gallantry and leadership were at all times an example for the company, while his sound common-sense, initiative and perseverance saved a critical situation. SUPPLEMENT TO THE LONDON GAZETTE, 2 DECEMBER, 1919 - 477830 Sjt. N. Shaw, R. Can. R. - For marked gallantry and ability during the operations near Cambrai from 27th September to 1st October, 1918. As acting C.S.M. of a company he performed services of the greatest assistance to the success of the battalions attacked. On one occasion when 'his 'Company was held up he went out in the open under heavy machine-gun fire, and, working to the flank, established a post with a captured enemy gun, and, inflicting heavy casualties on the enemy, enabled his company to advance. On another occasion he stayed behind with one man and a Lewis gun to cover a withdrawal. Throughout his conduct was of the highest order. SUPPLEMENT TO THE LONDON GAZETTE, 16 JANUARY, 1919. - 2617004 Pte E. C. Spicer, R. Can. E. - For conspicuous gallantry and devotion to duty during the operations commencing 26th August, 1918J east of Arras. For three days and nights this stretcher-bearer worked incessantly, tending our wounded under heavy artillery and machine-gun fire. After our line had been withdrawn he went forward time after time to our former position and tended the wounded himself, carrying them back to safety. He stayed, although in close proximity to the enemy, out in front of our line all the night of 26th August dressing our casualties and carrying them into shell-holes. His pluck, determination, and skill saved many men's lives. SUPPLEMENT TO THE LONDON GAZETTE, 11 MARCH, 1916 - 25540 Regimental Serjeant-Major J. M. Stephenson, 23rd Canadian Infantry Battalion (formerly 14th Battalion). - For conspicuous gallantry; he was instrumental in o keping up the supply of ammunition, and, in many instances, he carried the boxes himself into the line, under very heavy shell fire1, displaying the greatest bravery and devotion. He has twice been wounded in action. SUPPLEMENT TO THE LONDON GAZETTE, 28 MARCH, 1918. - 460196 Pte P. Thompson, M.M., Inf. - For conspicuous gallantry and devotion to duty. During three days and nights of incessant bombardment, in addition to carrying out his duties as runner, gniiding in numerous ration and water parties and taking out wounded, he was continually digging out buried men and tending wounded under heavy shelling. In a scattered position of unconnected shell holes he was of the greatest assistance to his company commander. SUPPLEMENT TO THE LONDON GAZETTE, 16 JANUARY, 1919. - 425164 Sjt. E. Watson, R. Can. R. - For conspicuous leadership and good work during the operations from 8th to 15th August, 1918. He commanded a platoon the whole time and handled it with great skill while engaged in clearing up White House and the capture of Parvillers. By careful dispositions he outflanked and captured two enemy machine guns without a single casualty to his platoon. His devotion to duty and fine example was an inspiration to all his men. SUPPLEMENT TO THE LONDON GAZETTE, 3 MARCH, 1917 - 478560 Pte G. Watson, R. Can. R. - For conspicuous gallantry in action. Although wounded, he bombed an enemy dug-out and killed nine of the enemy. Later, he carried a wounded man across "No Man's Land" back to our lines. He displayed great courage and devotion to duty throughout. SUPPLEMENT TO THE LONDON GAZETTE, 26 JULY, 1917 - 207958 A./L./Cpl. G. E. Wells, Infy. - For conspicuous gallantry and devotion to duty. He displayed great gallantry throughout the day, and was largely responsible for repelling an enemy counter-attack. SUPPLEMENT TO THE LONDON GAZETTE, 11 MARCH, 1920 - 478021 Cpl. C. Wise, R. Can. Regt. - For gallantry and devotion to duty during the battle of the Somme on the 5th October, 1916. He took command and showed brilliant qualities of leadership through a most difficult day until he himself was severely wounded. SUPPLEMENT TO THE LONDON GAZETTE, 17 APRIL, 1918 - 478041 C.S.M. J.H. Wyatt, Inf. - For conspicuous gallantry and devotion to duty and consistent good work. His courage and coolness under fire have been of the greatest assistance to his company commander, and he has always shown a splendid example to his men.